The Overwatch League has brought a high volume of action packed team fights and drama filled moments in its inaugural season. For all the upsets and big plays that accompany each week, there are a few common trends to keep note of when placing bets to maximize your chances of success. In its first season of league play, OWL has brought newfound levels of professionalism and production value to an already robust esports scene. But that doesn’t mean the Overwatch teams themselves are immune to the pitfalls new teams may face in this new hyper competitive environment. Certain teams like the Dallas Fuel, Shanghai Dragons and Los Angeles Valiant have endured their fair share of behind the scenes struggles with their team run YouTube series and very public Twitter tirades. Dallas Fuel was once regarded as the best Western team entering the tournament but their nonstop struggles between players and coaching staff has severely hurt their chances of success. Shanghai Dragons are currently still looking for their first win as a newly reformed organization. The all Chinese lineup lost their best player Undead after he was ousted by his ex-girlfriend as a womanizer. The subsequent roster upgrades were steps in the right direction, but getting four Korean imports to learn Chinese and still continue to perform in the Overwatch League is no easy task, and Shanghai have suffered torrentially throughout the process. LA Valiant have had an opposite effect in the way they fixed their ongoing team struggles. After releasing a less than candid player interrogation with one of their most promising talents Agilities, many LA Valiant fans scoffed at the way LA Valiant publicly embarrassed their player as his starting position was put on the line by management. In response to their screw up, LA Valiant made drastic team changes that saw Custa make his way into the roster, and they’ve been rewarded heavily in Stage Three, going 5-1 since the start of their changes. While behind the scenes drama isn’t the only precursor to whether or not your team will be able to will their way to victory, it’s most definitely a factor that can’t be ignored. When looking at win percentages for certain teams, the best way to predict how many games one team can take over another, map win percentages and game mode wins and losses should be factored into your prediction. In Stage One, London Spitfire was undoubtedly one of the strongest teams in the league as they charged their way to a first stage playoff win. In Stage Three, London have had a rocky progression through the weeks as the map pool for Stage Three has not been in their favor. Historically, London Spitfire are a less than .500 team when it comes to their record on control maps. In their latest series against the Boston Uprising, London Spitfire suffered key losses to Boston on Ilios and Oasis, two of their worst maps, and the series slowly but surely went into Boston’s favor as they were able to sneak out a victory. While many casual fans would consider this an upset on paper especially with DreamKazper’s absence, the volatility of the map set was clearly not in London’s favor when you look at the win percentages for them this stage. Using websites like Winston’s Lab and Medium gives you an easier look as to how certain teams perform on any given map in that series. As the stats for OWL get more and more data, the predictability of wins and losses can only be improved, furthering your confidence in any given team you place a bet on that week. Can upsets happen from time to time? Of course. In an unscripted league like the OWL, the chances for upsets and runs of fortune for different teams is always a possibility. But staying up to date with how teams are performing week to week is imperative to survival as top teams like Seoul and London take a dive and other teams like Boston and LA Valiant continue on a surge. Tracking their progress, analyzing map sets, and monitoring team activity are all soundproof ways to minimize the surprises on gameday, and ensure maximum profit on any given team you put stock in during the season. 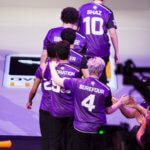 OWL Week 5 Preview: Can Dallas Fuel secure a stage four playoff spot? Buy or Sell: Where do the Shanghai Dragons rank?